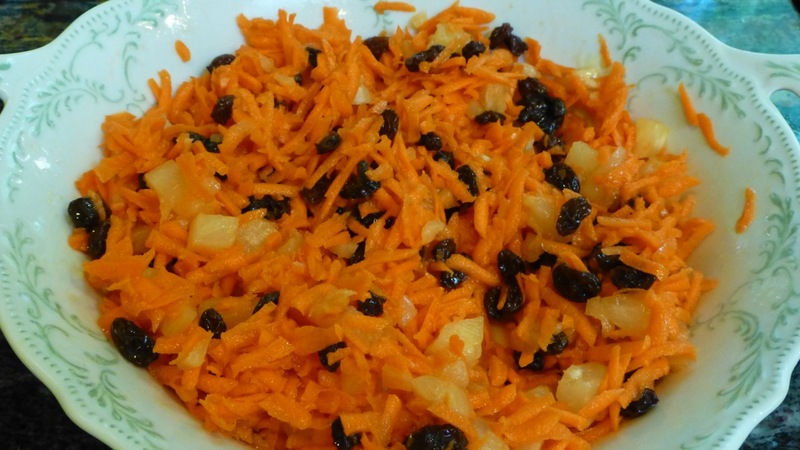 This Sweet Carrot Paleo Salad is great as a side dish and/or can be used during Thanksgiving or another holiday because it has a nice sweetness to it. Just a few ingredients are needed and the directions are simply easy. 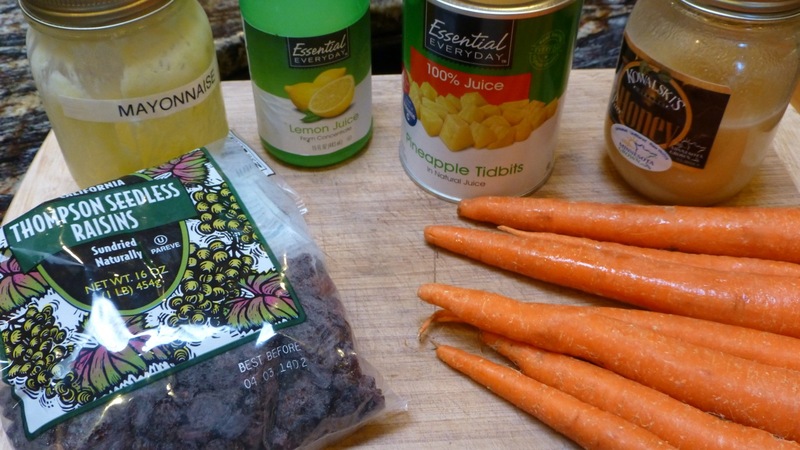 In a large bowl, mix together the carrots, pineapple and raisins. Stir in the honey, mayonnaise and lemon juice until everything is evenly coated. Refrigerate for at least 30 minutes before serving to let the flavors blend together. That’s it! Very easy to make and most people have the ingredients in their cupboards. Oh — one quick comment. This recipe doesn’t do very well after the second day in the refrigerator. It’s “okay” but doesn’t taste as great so I’d recommend you eat it fresh.